Charles R. Dallas passed away on February 25, 2019 at East Orange General Hospital. He was born on February 9, 1958 in Irvington, NJ to the late Charlie and Rose Dallas. 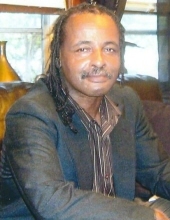 Charles is survived by: his children, Clarice, Sharlette and Charell; four grandchildren; sisters, Naimah Kamal, Kathleen, Charleen, Marlene and Rose; his partner, Veronica; and a host of nieces, nephews and friends. This Online Memorial has been created to commemorate the life of Charles Richard Dallas. Leave a message on the Tribute Wall to share your favorite memories and offer words of sympathy and comfort. To send flowers or a remembrance gift to the family of Charles Richard Dallas, please visit our Tribute Store. "Email Address" would like to share the life celebration of Charles Richard Dallas. Click on the "link" to go to share a favorite memory or leave a condolence message for the family.